The ToughBuilt GelFit Fanatic Thigh Support Stabilization Knee Pads are the new benchmark for all-day kneeling ergonomics, comfort and functionality. Provides ultimate stability while maintaining easy side-to-side movement. Integrated thigh support keeps the knee perfectly centered, never twisting out of the kneepad. The lower platform raises the shin off of the ground alleviating pressure on the ankles. Ergonomic gel and foam design embraces the natural shape of the knee and upper shin, maximizing pressure distribution for an extremely comfortable fit. 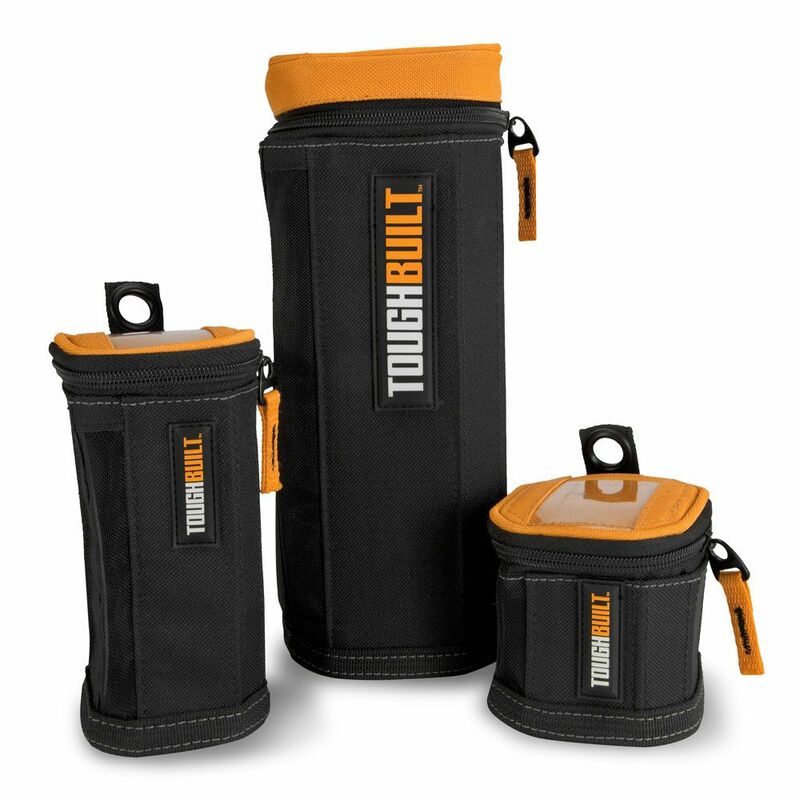 3 Pack - Tower Softboxes The ToughBuilt SoftBox Tower 3-Pack simplifies storage for small supplies. Three different sizes give versatility. Featuring a heavy-duty mesh window, and a wide, zippered opening, these SoftBoxes provide superior visibility and accessibility. Label windows make organization a breeze. Made with rugged, structured sides, these Softboxes withstand the most rigorous work environments. 3 Pack - Tower Softboxes is rated 4.8 out of 5 by 12.